I love writing cards and letters but knowing where to start can be really difficult, even for those who love words. Embarrassingly, it took 6 months to post out our thank you letters following our wedding. Dreadful etiquette, I know. Really bad. Some of that guilt lifted when I realised many people don’t even send a thank you tweet let alone a card after their big day, but I digress. Thank you notes are important. Whether they are sent verbally, through Facebook or through the mail, saying thank you is what makes the world a nicer place to live in and it makes you feel better. This is, hands down, the best way to say thanks. It is fraught with awkwardness and the necessity of showing sincerity, two things that are not easy to do. Be sincere. Don’t make jokes or diminish the gratitude. If you must joke, save it until the end. Start by saying that you’re grateful/thankful/incredibly happy for XY and Z. Express how it made a difference, why you enjoyed the act and how much the gift meant to you. Writing a thank you card or letter is really awesome. Especially if it has to go through good old fashioned snail mail. 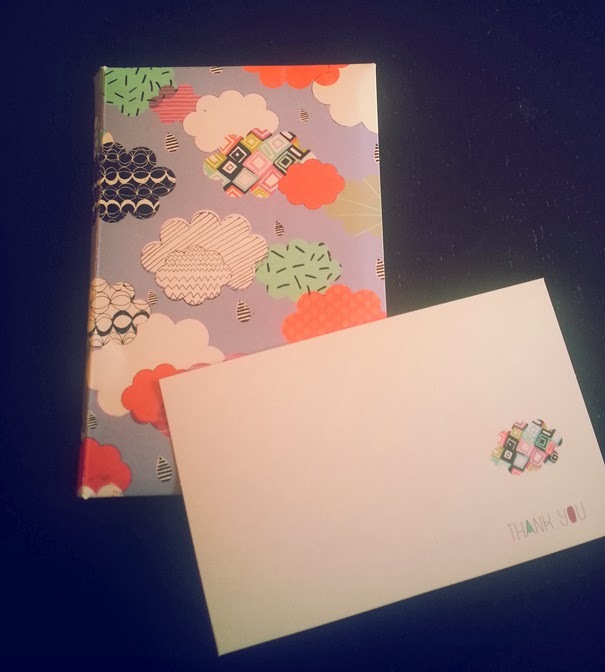 There’s something delightful about receiving mail thats only purpose is to iterate how fabulous you are. I have a tendency to be incredibly flowery when I write thank you cards, ask any one of my friends anywhere and it is likely they will have received note cards with both inside pages filled with squished writing and gushing words of love. Sometimes, there are drawings. When I feel particularly creative, I will limit words and just make little people express my intention through stick figure dance. 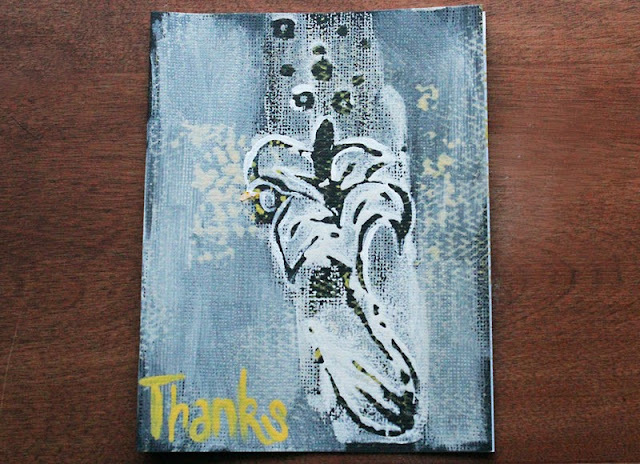 There’s no right or wrong way to write a thank you card, although I would leave the more wordy and elaborate ones for close friends and family. As a general rule, follow the formula below. A written card has more impact if its sole purpose is to convey thanks, so leave out the updates, further requests for money and gossip. Just write thank you. If you want your card to be a little fuller and more ‘robust’, you could elaborate in my detail, focusing on feeling and expressing sincerity. Ok, so I debated putting this one in. Does saying thank you electronically even count as anything? I’d like to think it does. Although it’s definitely not conventional and doesn’t have the impact of a handwritten note or verbal expression of thanks, it’s still good for reconnecting, reaffirming gratefulness and connecting with those who you are close with to those who you’ve just met. Sending a thank you message through any electronic medium is really very easy and should be used as a minimum. Choose your format properly. E-mail is a safe bet generally, but you could use Facebook/Twitter etc. E-mail allows you take anything from an informal to formal approach, whereas Facebook and Twitter do mean that some informality is expected. Don’t send anything important via social media, saying thank you for your job interview through FB just sends a bad message. Don’t do it. Just send the physical thank you note card and skip electronic altogether. 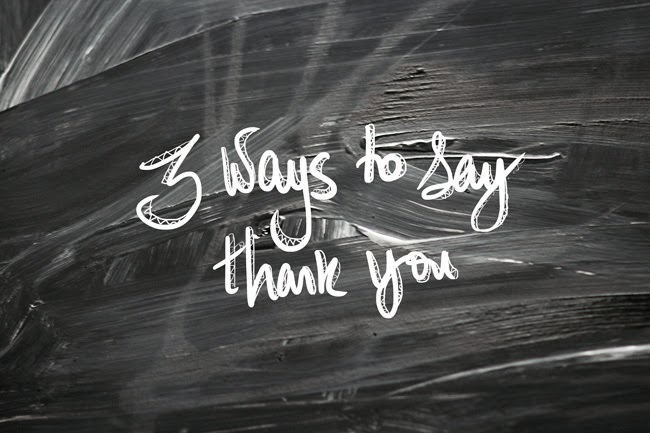 What are your go to thank you guidelines? Which way do you prefer to express thanks?